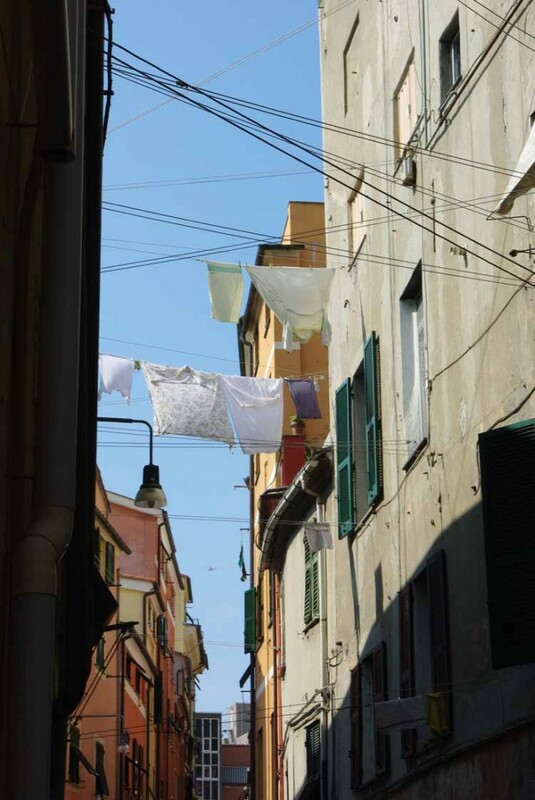 Once you have walked past the Brignole railway station tunnel, in the place where the Bisagno river sinks beneath the road that covers it, slide into that group of old buildings called Borgo degli Incrociati. In Roman times it was already inhabited, as it rose on the bank of an area where the Bisagno widened as far as today’s Sant’Agata convent. Today it is hidden behind the huge carcass of the fruit and vegetable market of Corso Sardegna. If you go beyond the strong odours, the blunt, grumpy personality of this historic corner which used to be crossed by chariots overflowing with fruit and vegetables coming from the Val Bisagno fields (see route 16, the road number 45 starts from this borough – in this section it is called Via Canevari – which crosses the valley and reaches Piacenza along the Trebbia river), turn right along Ponte Castelfidardo, next to the Sant’Agata bridge, partly destroyed by the 1970 and 1993 floods. It used to be the passage of the ancient Roman Via Aurelia and totalled 28 arches (a section of it may still be in pristine condition underneath the tar in Piazza Giusti…). Once you have walked past the junction with Corso Sardegna, take Via Paolo Giacometti and turn left immediately into Via Giuseppe De Paoli. If you pay attention, only a few steps away from the small tunnel leading to the convent, you will find the last arches of the Sant’Agata Bridge which reached this point on the opposite bank of the river. Keep the convent’s walls on your left and go along Via Toselli to reach Piazza Martinez, today the centre of the San Fruttuoso area, and later Via Giovanni Torti as far as the junction, on your left, with Via Paggi. As you reach the Garage Theatre, let yourself be taken up the uphill road. It dates back to the 17th century, winds its way up whilst surrounded by the tall buildings in Via Donaver, and leads to the Nostra Signora del Monte sanctuary on the hilltop. Overlooking the valley, it is a religious building dating back to the 12th century and rebuilt as a Franciscan convent in the 15th century. 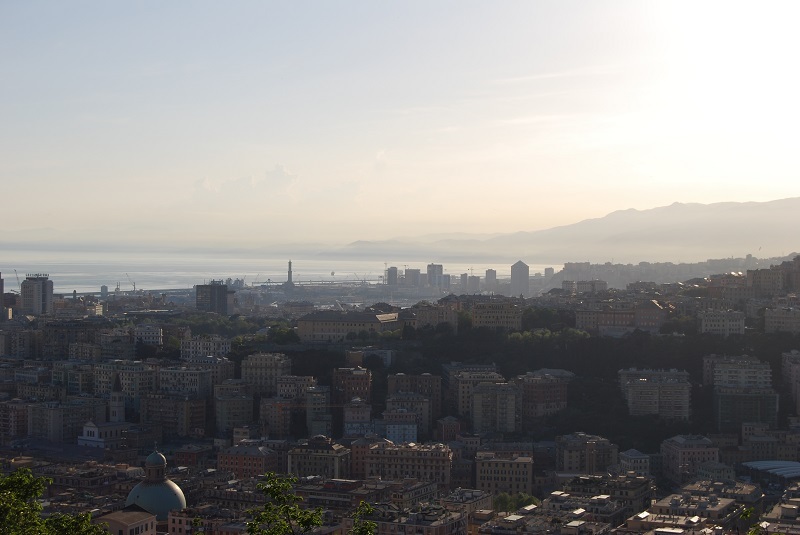 From Genoa’s ancient terrace it stretches to graze Capo Noli with the top of the Lighthouse. 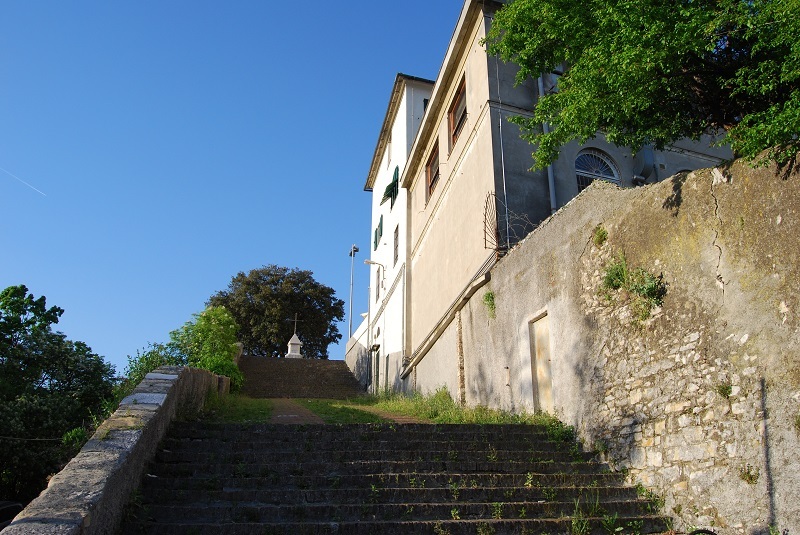 Close to the religious building, on the opposite side of the hill, Villa Imperiale from the 16th century goes downhill to reach Piazza Terralba, only a few steps away from Piazza Martinez. Built along the ancient Roman path, the villa was opened by the French King Louis XII in 1502, while he was visiting Genoa. From the Madonna del Monte sanctuary you can reach the villa at the junction with Via Imperiale.